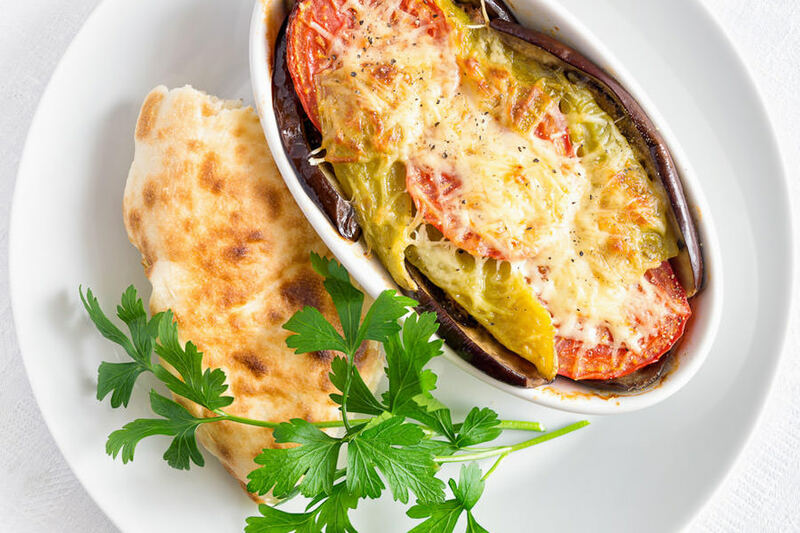 Wash and cut eggplants, pepper, and tomatoes into large slices and place them in an oven dish, adding, for each layer, EVO oil, salt, pepper and flakes of Provolone Valpadana PDO. Add a handful of breadcrumbs and bake at 180 °C for 20 minutes. The last 5 minutes complete the cooking by grilling. Serve hot with focaccia bread.